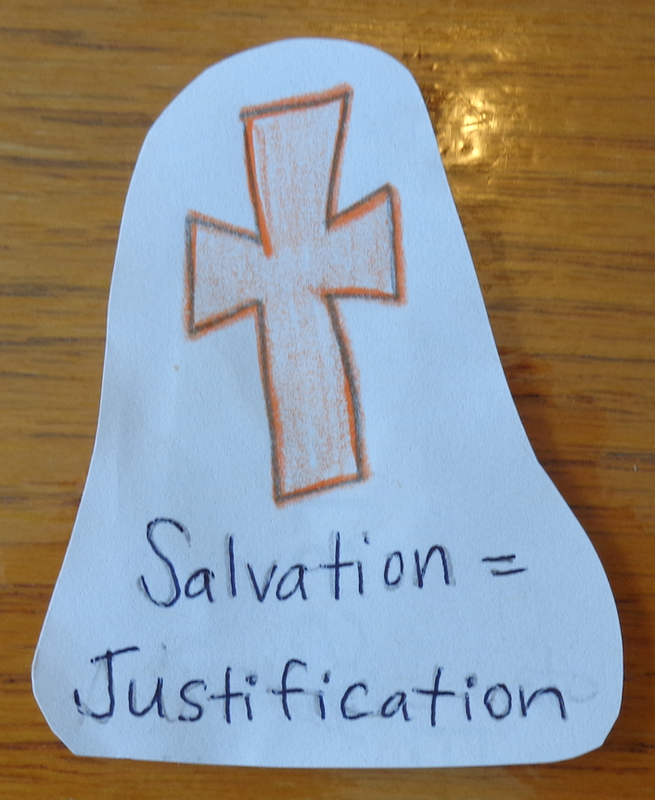 Can your kids explain what happens at salvation? Often we think of the act of praying to receive salvation as a one-sided activity. We are the ones praying. But I was surprised a few years ago to learn just how many different transactions take place when a person prays to receive God’s gift of salvation. We thought it was important enough to teach our kids, so we invented a fun way of doing this. Read on for the list of transactions that take place at salvation and how to turn the list into an activity for kids. I asked our kids how many different things happened on earth, inside of us, and in heaven when a person became a Christian. When our kids answered 50 or 90, I realized I was in trouble! But they couldn’t name more than a few of the things that happen, so their real answer was much lower. I then told them that there were at least 17 different things that happen at the moment a person decides to follow Jesus as Lord and Saviour. To make discovering these fun, I had written each of them down on pieces of paper and hidden them around the house. They set off to compete with each other to find the most slips of paper. The Holy Spirit comes to live inside you and you are born again (John 3:3, 2 Cor 5:17). I discussed each of these together with our kids. You can divide them into piles of which apply to us right now and which apply later on. Then we stuck the two pictures at the beginning of this post onto our road map, one at the beginning and one at the end. These two pictures summarize what salvation does for us now (justification before God and entrance into heaven and all the benefits thereof). If you have older kids, turn this into a Bible Study that you discuss together. 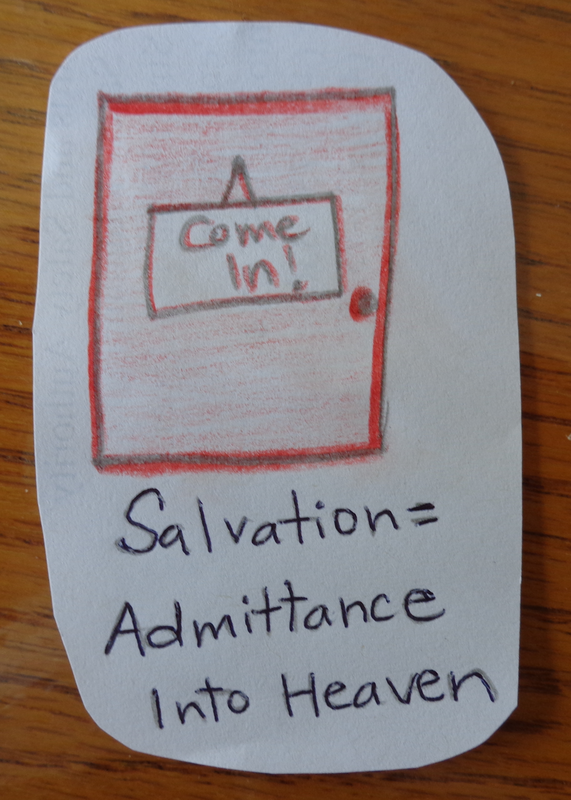 Were you aware that there were so many transactions that took place at salvation? Does anything on the list surprise you? I really love your blog and follow it closely, and hope to use some of your suggestions to strengthen my grandchildren’s faith (when I have them) and to help families at church shepherd their children. Also, in context, the references are to a shepherd that has retrieved a lost sheep, a woman that has found a missing piece of silver, and most notably, the story of the prodigal son. Using that parable as our example for illuminating this verse, we see that it is the father himself (a picture of our heavenly father) and not his servants (or angels) who is out looking for his son’s return, who receives his son with affection, who clothes his son in his own apparel, and who orders the fatted calf to be slain and the celebration of his son’s return. From the wording of the verse itself and the parables given, it seems to indicate that the joy “in the presence of the angels of God” is not referring to the celebration of the angels themselves (although certainly they do rejoice), but the joy of our Heavenly Father, God Himself. Hopefully you don’t see this as “picking nits.” When this was pointed out to me, I saw how much more weight, gravity and importance the verse lent to the repentance of every single sinner! God bless you in your continued shepherding of your children’s faith, and in your ministry to others as you share your successes. Thanks so much John for your reply and careful explanation of the verse listed. You present a very good point and I agree with you that it lends a lot more weight and importance to the repentance of each sinner. We often speak of the angels rejoicing when sinners repent, and I probably fell victim to picking up that language. I appreciate your feedback and your support of my work at home and what I share through this blog.